We happily accept Visa and Master Card, school district purchase orders, Pay Pal and personal checks. If you'd like to download an order form click on the link below or use our convenient shopping cart. 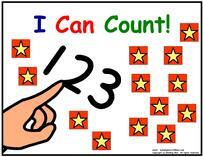 This counting book is used to teach number concepts 0 –10 using an errorless teaching strategy. Errorless teaching strategies offer successful learning in a format where the learner cannot make an error. Eleven page book comes with cards that are adhered to pages using hook and loop coins. 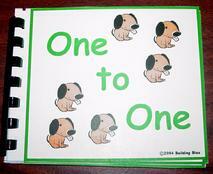 Student moves cards to counting section on each page (0 -10). 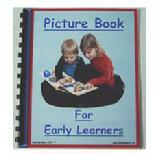 Pages are laminated for durability. 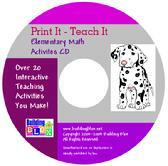 Our new Print It Teach It Behavior CD is ready for purchase! 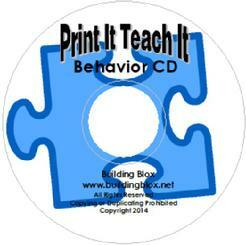 Print It Teach It Behavior CD - Loaded with a wide variety of visual supports and strategies to promote positive behaviors. Ideal for teachers of students with autism. TASK BONANZA Teacher Resource Book is a valuable tool for teachers interested in developing structured teaching activities for their students with autism and other developmental disabilities. 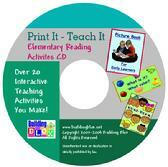 The book offers 60 teaching activities with color photos of a variety of teaching tasks ranging from early learning to academic skills. A clear description on how to construct the task is provided along with information on how to expand the task once it has been mastered by the student. The materials used in the tasks are easy to find and provide interesting and motivating skill building. Task Bonanza has sold across the country and internationally. TASK TRACKER Documentation Tool is a great companion for Task Bonanza. Task Tracker is a student booklet which allows teachers to track student progress when using structured teaching activities to build skills. 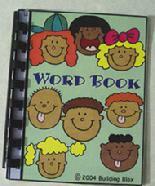 The booklets are sold in a 5 pack set with each booklet in a different color to allow teachers to use color coding to identify students materials. Task Tracker also allows teachers to track use of visual schedules and work systems. The Task Tracker may also be used to problem solve student challenges in mastering structured teaching activities. The CD's are sold separately.